Leopard print in blue and ivory on bodice that is sleeveless peplum waist and decorative buttons down the front. 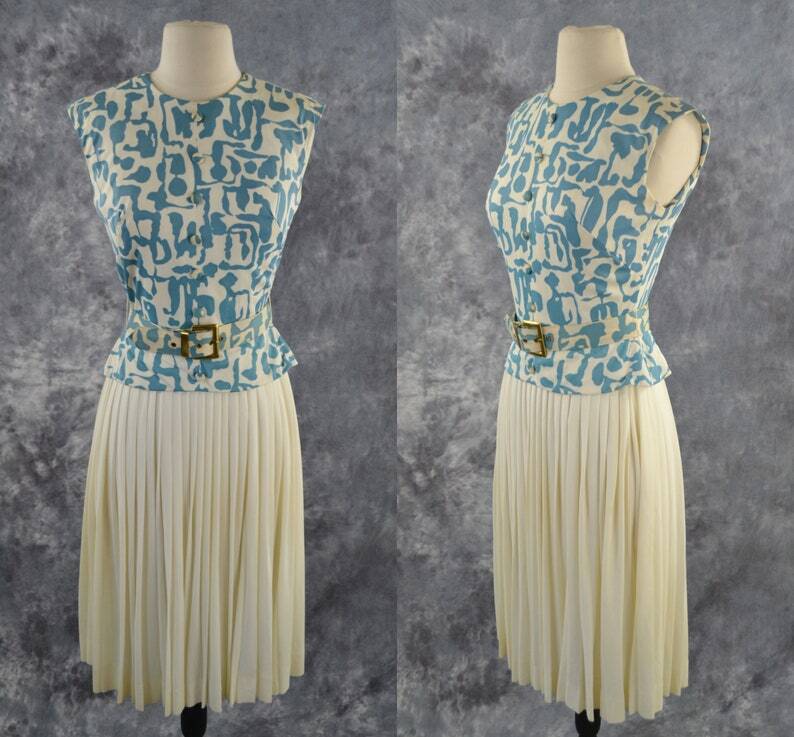 A solid ivory pleated skirt finish the look of this dress. A metal zipper down the back. This dress also has a matching leopard print belt with gold tone buckle. A few small spots on the bust and a spot on the skirt, the belt has some staining as you can see in the last 4 photographs.